Our third and final PEOPLE OF MONEY post. The biggest and *my personal favourite* bill, the 10,000 yen bill features Japan’s Voltaire/Benjamin Franklin; Yukichi Fukuzawa. Born into a poor samurai family in 1835 he started classical training from the age of 5. This was during a time when Japan was still a closed island nation. He was among the members of the first diplomatic visit to the United States in 1859 and upon his return he decided to write the first English-Japanese dictionary. He was a integral figure during the westernization of Japanese society. He also founded Keio University, the oldest institute of higher education in Japan. Fukuzawa has been on the 10,000 yen note since 1984. He was the only figure to remain after the 2004 change of series. Tongue twisters You may have mastered Hiragana and Katakana but trying to link them together and make your words sound fluent and flowing is hard.Japanese pronunciation uses very little inflection and is very flat. its always good to practice out loud. Here are some great Japanese tongue twisters to help you. となりのきゃくはよくかきくうきゃくだ　（tonari　no　kyaku　wa　yoku　kaki　kuu　kyaku　da） The customer next to me eats kaki very well. -or- なまむぎなまごめなまたまご　（nama mugi nama gome nama tamago） Fresh barley, fresh rice, fresh eggs -or- よりどりみどりきみどりさつきみどり　(yori dori midori kimidori satsuki midori) “yori dori” is used when there is many of something to choose from. 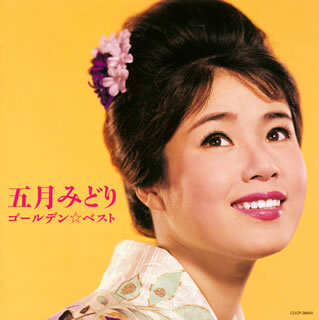 kimidori is yellow green Satsuki Midori was a singer in the 60s. Happy Japanesing! 冗談は顔だけにして (jyodan wa kao dake ni shite) Or The only joke you need to worry about is your face. Japanese speech is peppered with mimetic words. These have no formal translation but are the most useful and easiest way to describe the world around you (and sound more fluent while you are at it)! These words can be used to describe the state of things, feelings, emotions and actions. they range from the standard to the ridiculously precise. Here are a few of he best ones. ペラペラ　（pera pera）this is used if someone is talking extremely quickly or fluently. ザアザア　(zaa zaa) the sound of heavy rain falling. ポツポツ (potsu potsu) a light rain or drizzle. フワフワ (fuwa fuwa) describing something light and fluffy like a cloud or bread. カリカリ (kari kari) describing things that are brittle like chips or the skin on a gyouza. サラサラ (sara sara) smooth things like stroking a cat. カサカサ (kasa kasa) dry, rough things like chapped lips. ゴロゴロ (goro goro) to be lazy (goro goro is the Japanese equivalent of a frog’s “ribbit”). There are far to many to post in one article. If you have a favourite I would love to hear it in the comments section.